The Day of the Dead is a Mexican multi-day holiday where families and friends honor the departed. The festivities were dedicated to a goddess called “Lady of the Dead,” represented in modern times by La Calavera Catrina, a dapper, elegantly dressed skeletal woman whose face may be elaborately painted. In the century since her creation Catrina’s appearance has been immensely influential, and she appears in popular culture and designs across the world. 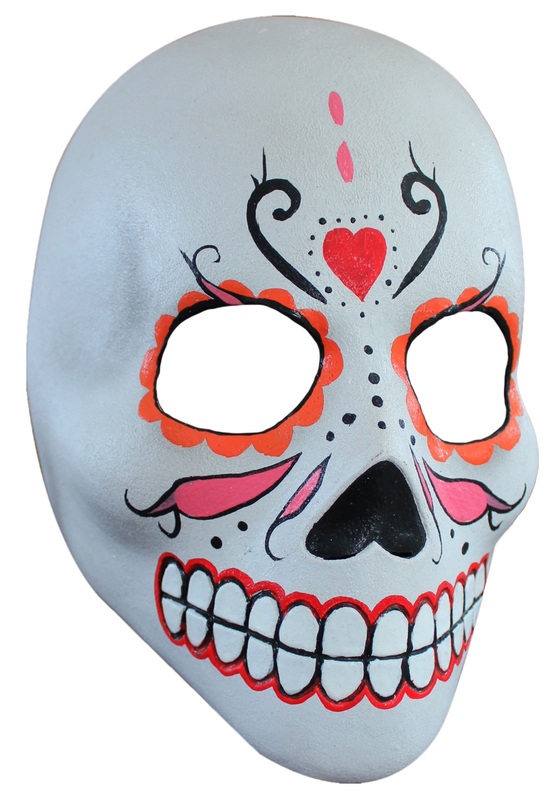 If you want in on the Día de Muertos action, why not sport our hand-painted Catrina mask? It’s a beautiful ode to the classic holiday figure, a brightly colored mask you could wear for any traditional celebration or just when you need to go incognito in style. Catrina’s a much more appealing avatar of death than the Western one. We wish we could replace the gloomy Grim Reaper with her!